I'm pleased to announce that in January 2010 I'll be running Django Training in Vancouver. The four day training covers all the things you need to know about getting Django up and running. The training is very hands-on - a bit of talking and then a bit of writing code. 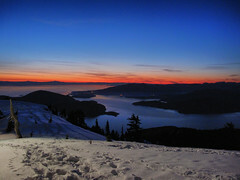 Since it's in Vancouver in the winter, we also thought we'd throw in a nights skiing up Cypress Mountain (where the Olympic free-style skiing and snowboarding will be held). After many years of skiing I still consider myself quite an amateur, so that will be another opportunity for me to learn from you. After several years of Plone training, I'm really looking forward to doing some Django training. Hope to see you here.